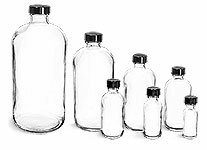 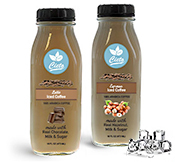 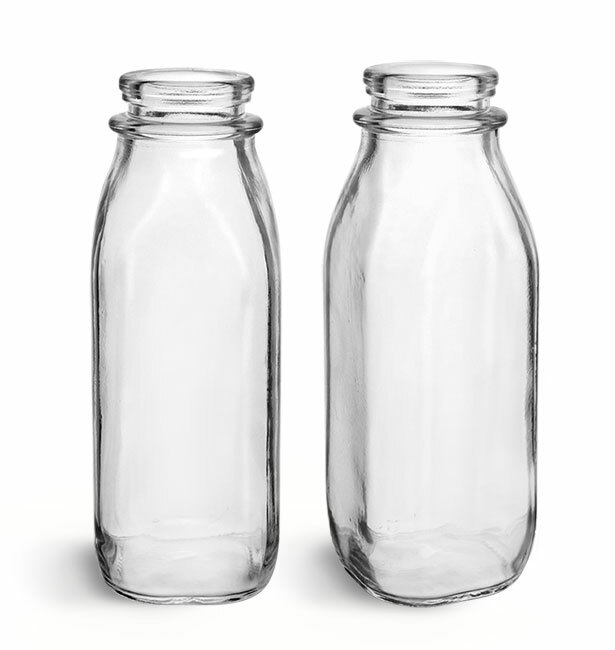 These 16 oz clear dairy bottles could be a good option for packaging products like cream or milk. 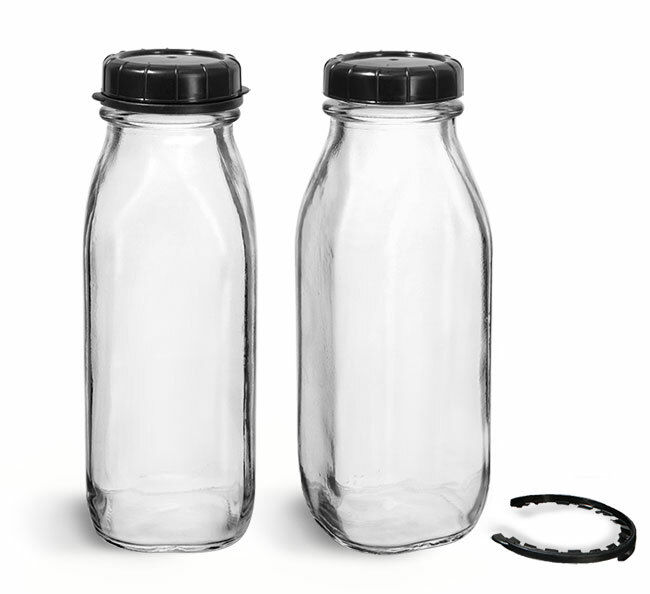 They come with black LDPE tamper evident caps. 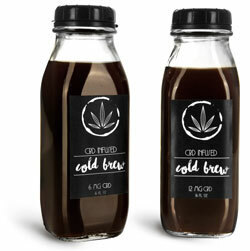 Tamper evidence is a convenient feature allowing customers to identify if the product has been opened prior to purchase.